So where have the moved the milk now??!!! 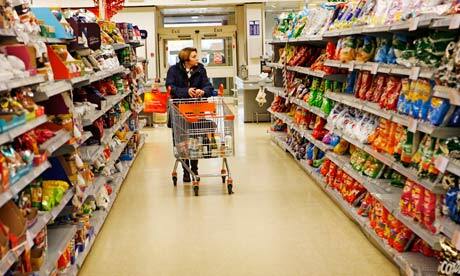 I’m not anti-supermarkets but I’m also not the type of person who likes to spend ages and ages in one. Just get my stuff and get out. I’m quite an impulse shopper so I try to stick to a list that helps me stay on the track and not buy stuff I don’t really need. To be able to do that I need to know my local supermarket like the back of my hand. Which I do under normal circumstances but my Nakumatt (supermarket chain) has a seriously bad habit of playing Musical Shelves every now and then. Just when I get used to the new set up, they put toilet rolls where the tea bags ought to be. Grrrr!!! Today I spent over 45 minutes to go buy milk, bread, tea bags, shampoo and a bottle of wine. I was just meandering up and down the aisles, stopping to ask the attendants where everything is, feeling like a frikking tourist in a place I shop almost everyday. I think for a while now I’ll just shop at the small family owned supermarkets where the owner will greet me by name and also make my shopping experience more personalised. I’m seriously fed up of playing Musical Shelves/ Aisles. These big chains ought to have a map at the entrance to make shopping quick for someone like me who has better things to do than pass time looking at supermarket shelves.